The Avaya One-X solution enables you to embrace business Mobility with features that are easy to deploy, and easy to use. 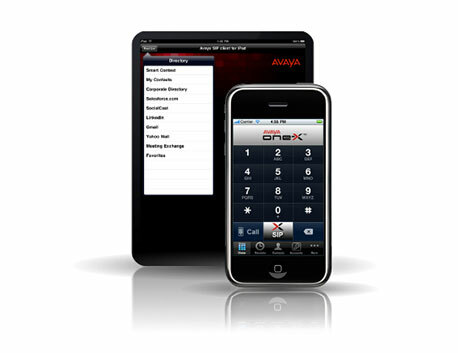 Remote workers can take advantage of Unified Communications and enterprise mobility, and control their Avaya phones easily from a PC attached to their network. Your mobile workforce can be connected to the network simply and reliably, ensuring they are available and accessible no matter what their location, allowing them to make the most of out-of-the-office time and be more productive. The Avaya Mobility offering delivers flexible working, allowing you to use the power of mobile and smart devices to take your office anywhere. One-X further encourages BYOD, which allows workers to use their own devices to get access to the same features and applications as desk-based workers. One-X uses your own company network and wifi to deliver communications, rather than relying on mobile data plans. Enterprise mobility is fast becoming the language of the future, and companies across the world are moving their workforces into more agile, mobile working patterns, freeing them from the constraints of the desk and unlocking the potential to be had from an employee who can still access a central network, no matter what his location. This doesn’t mean an end to face to face communication: integrated video conferencing solutions like Avaya Scopia allow users to collaborate remotely with an added personal touch. One-X is available for iOS, Android and Blackberry. One-X’s advanced feature set, including visual voice-mail, unified contact lists, corporate directories and IM, makes your team more efficient and collaborative. You can cut back on costly mobile calls by routing all calls made from devices through your own network instead. Interested in Mobility and One-X? Call +44 (0)800 849 9149 to speak to one of our experts today.